The moment you are willing to be completely honest with yourself, true connection begins. The moment you are willing to tell the truth, true healing is initiated. The moment you are willing to stand in full exposure, consciousness shifts and awareness expands. The Truth Therapy offers nothing in addition to who you already are in Truth. 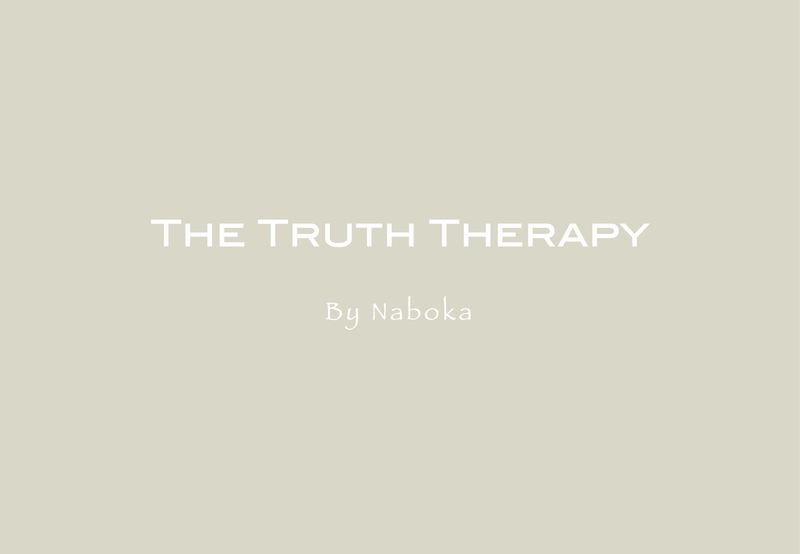 The Truth Therapy serves as a laser beam to cut away your stories and lies. The Truth Therapy facilitates stuck emotions to be felt and old consciousness to be shaken off. The Truth Therapy intends to nurture your soul. The Truth Therapy deepens your connection with who you are in Truth. The Truth Therapy reveals what comes and what goes, and what remains untouched when you grow old. The Truth Therapy allows direct experience in an open and spacious consciousness where the true awareness lies and grows.